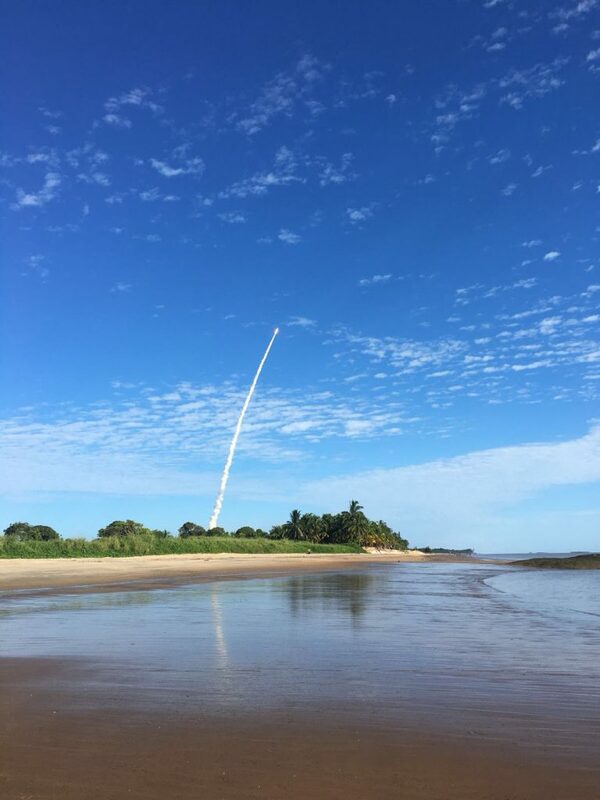 Usually work is well and truly focused on cleanroom activities, but today some of the Aeolus team in Kourou were lucky enough to get a view of the launch of four Galileo on an Ariane 5. Back to Aeolus and tasks are being ticked off the ‘to do’ list in the run up to launch on 21 August. 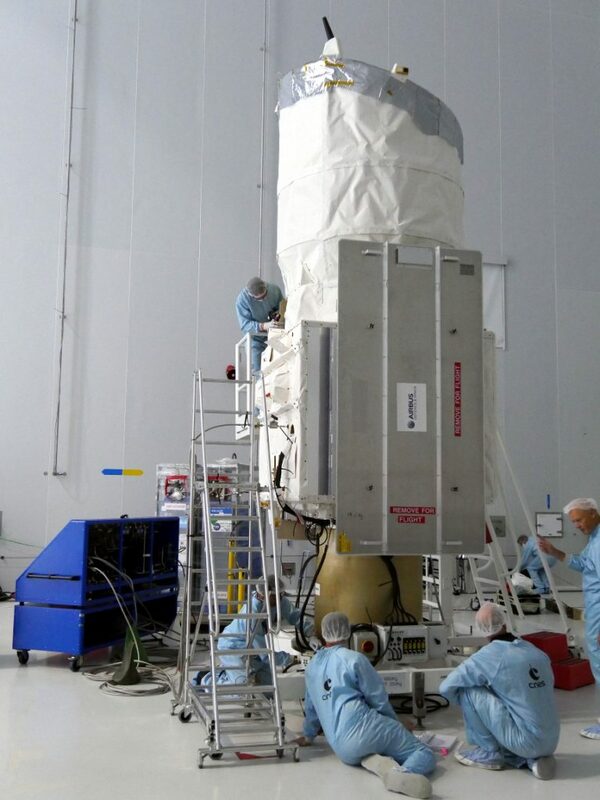 The satellite has been cleaned, centimetre by centimetre. 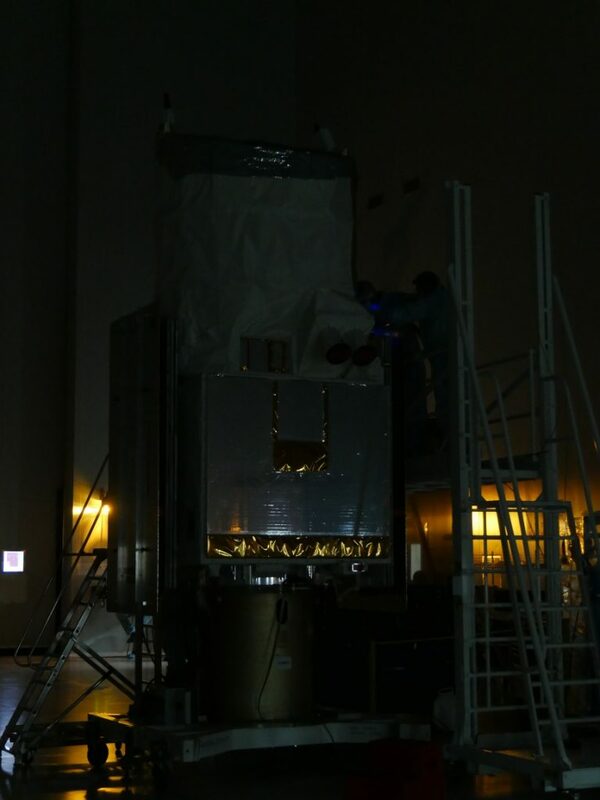 A faint purple light can be seen in the photo above, but this is actually a powerful ultraviolet torch the team uses to detect particles of dust. 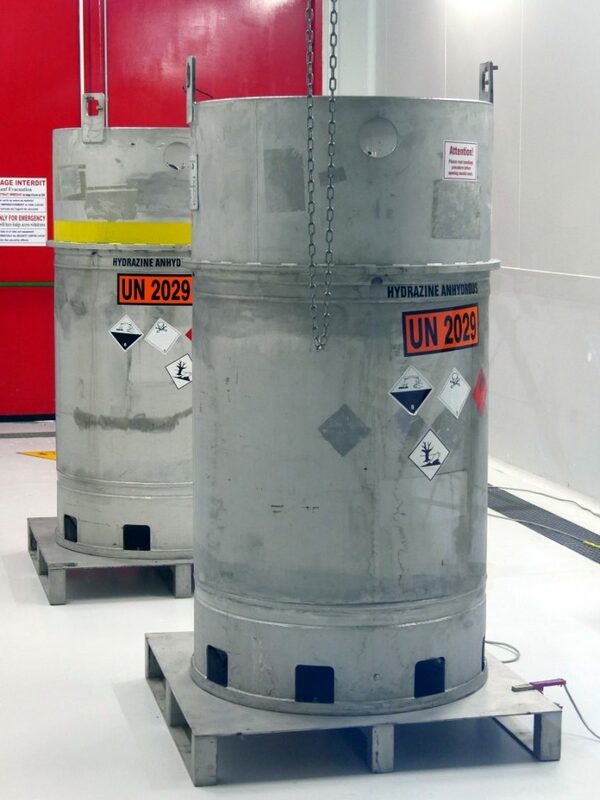 If any particles are found, they are removed with a soft brush and a vacuum cleaner. This is a bit of a tedious task, but one that is necessary. 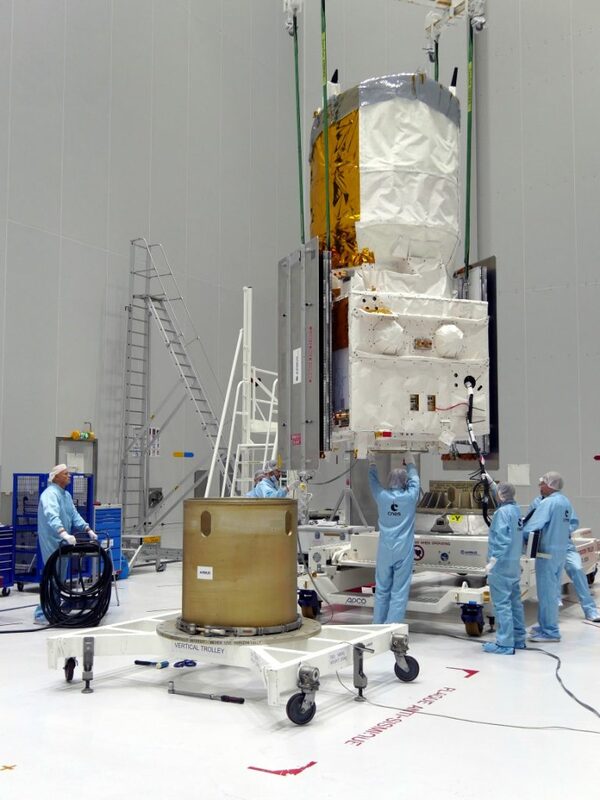 The satellite has also been placed on a vertical stand, which will be used for fuelling. 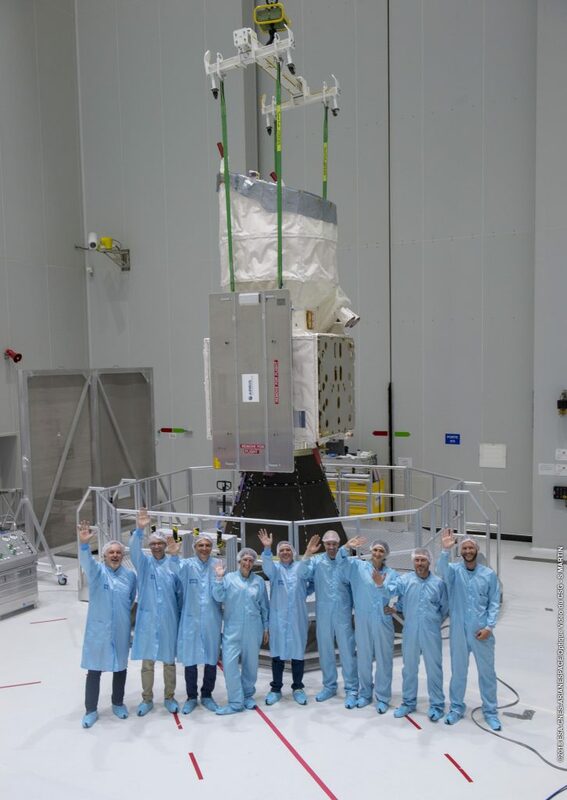 And the fuel is ready and waiting – and and the photo shows, the team is a happy team.